The Meyer Lemon-Rosemary Campagne Boule from Kathleen Weber's New Book (My step by step photos will be at the end of this posting.) 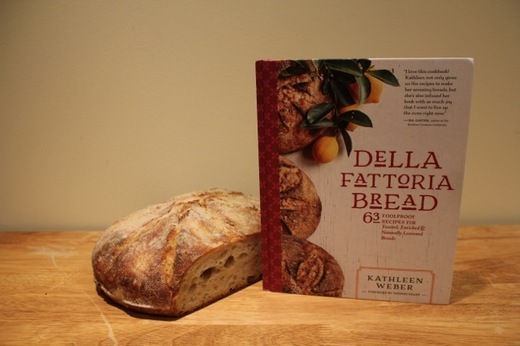 Della Fattoria Bread: 63 Foolproof Recipes for Yeasted, Enriched & Naturally Leavened Breads When I saw the photo of this bread and read the headnote, I knew I would have to make it even though it would mean waking up my sleeping beauty starter which I have been feeding faithfully since its creation over 12 years ago but, in recent years, only using to supplement commercial yeast in my breads. To my amazement, after the first feeding it doubled in just 5 hours rather than the expected 2 to 3 days. 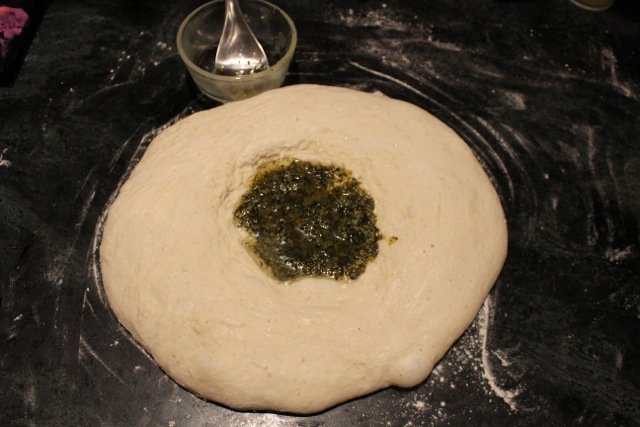 Kathleen writes in the headnote that the lemon zest and finely chopped rosemary are mixed with olive oil to make a pesto-like slurry that appears as a bright and delicious swirl along the underside of the crust. When I asked her if this was her original concept, she said that she came up with the slurry just thinking of a pesto like thing to carry the flavors and that she didn't want it to mix in the dough, looking for something cleaner. 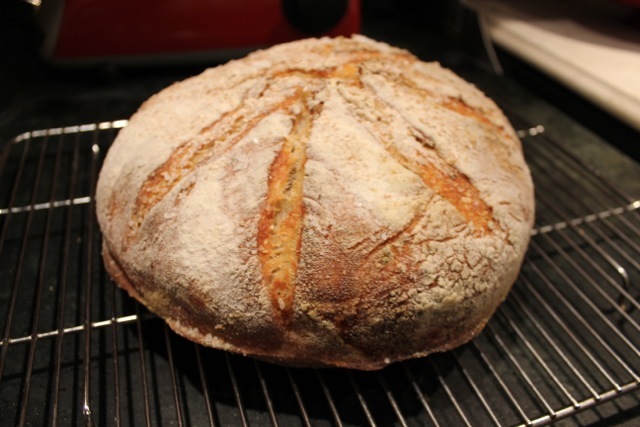 Sourdough, without any added commercial yeast whatsoever, is always a thrilling but scary proposition. Kathleen herself was reminded of when she rode a three wheel bicycle for the first time and her father let go of the seat, which feels like the perfect analogy to me as well. 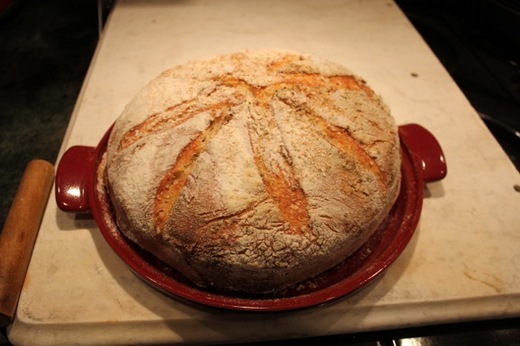 She also wrote that she never takes the power of sourdough starter for granted and it always seems like a miracle when the loaf comes out the oven. 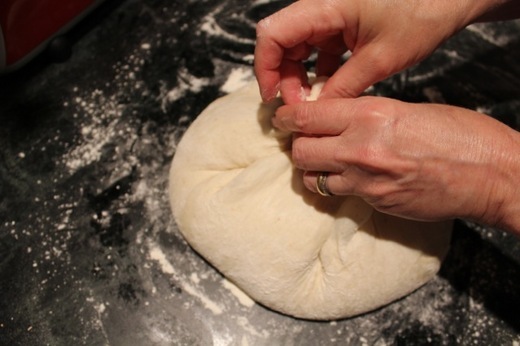 What was most tricky for me with this bread was my small hands when enclosing the big mass of dough around the slurry. 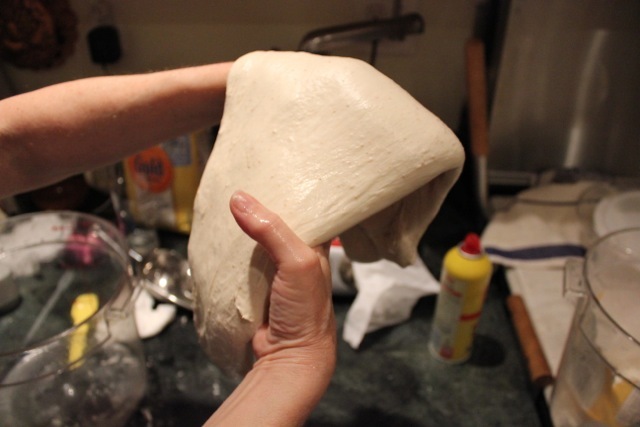 I further made the mistake of overworking the dough slightly when tightening the seam which caused the slurry to escape and break through the surface of the dough. 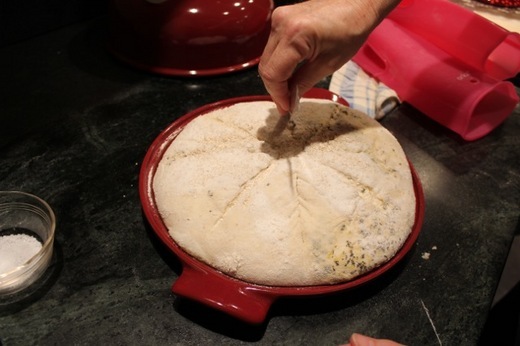 This prevented the peaks of the crown pictured in the book from forming in the top of the crust while baking. 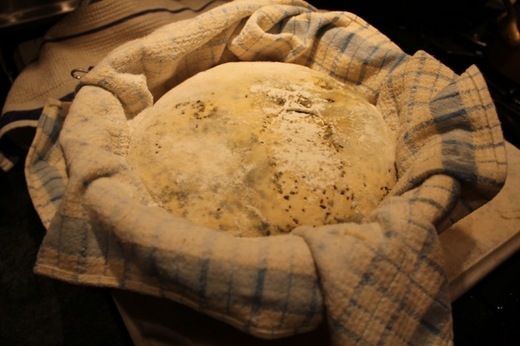 Also, next time I will use a standard cast iron pan instead of one with a shallow base, as the supple and slack dough spread past the edge of the base when unmolding the dough from its couche or, as in this, case towel-lined proofing basket. 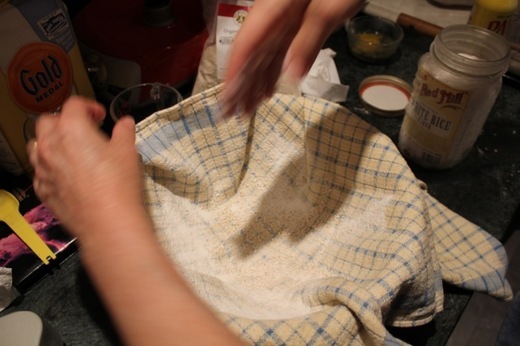 Kathleen said, reassuringly, that usually when you take it out of the basket it just kind of goes flat. 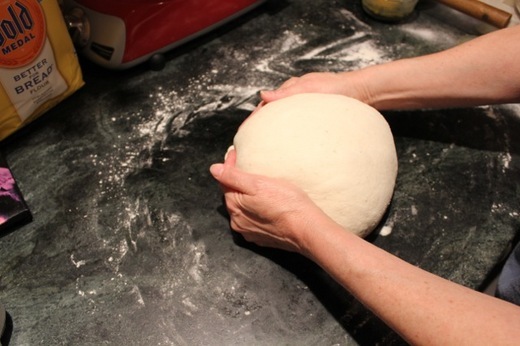 For the naturally leavened breads, the growth happens in the oven, have faith! 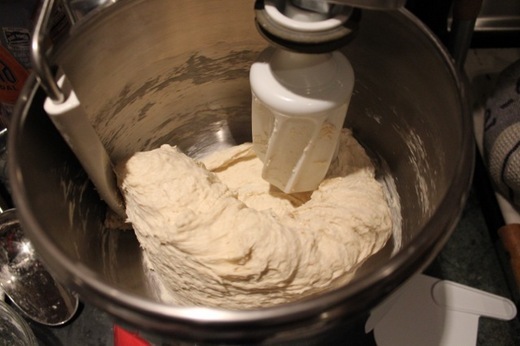 I despaired of having a decent loaf, and when lifting off the dome was amazee to see that the dough had risen and baked magnificently. And the taste was amazing--the rosemary and lemon infused the entire loaf and it had the classic sour dough aroma and full tangy flavor. 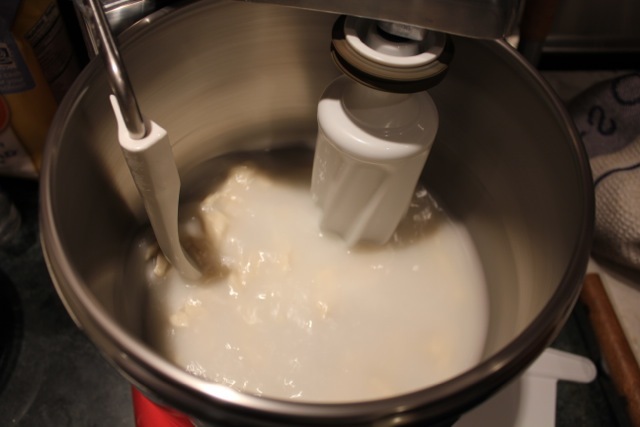 Torn starter added to water. 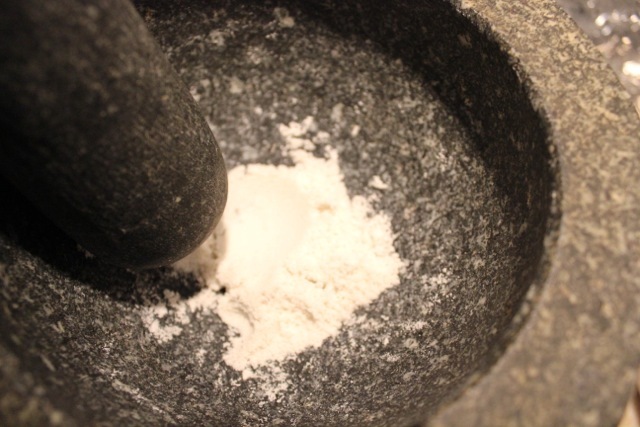 Using the mortar and pestle to grind coarse Celtic salt into fine. 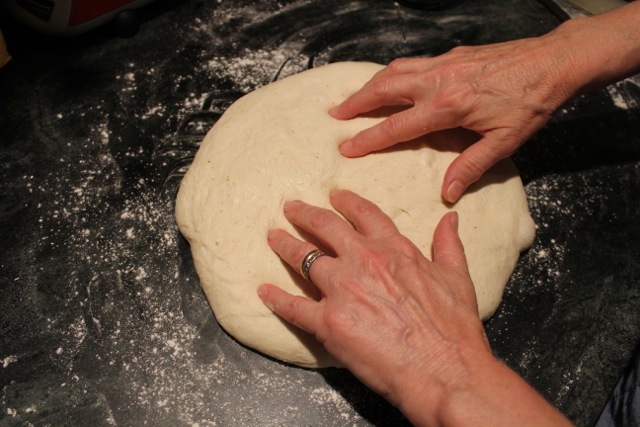 Kneading the dough which tightens after adding the salt. Stretching and turning the supple dough. 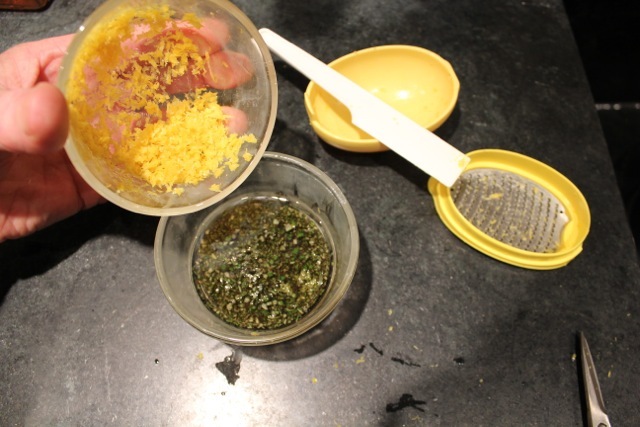 Rosemary, lemon zest, and olive oil slurry. Shaping and pinching the boule. 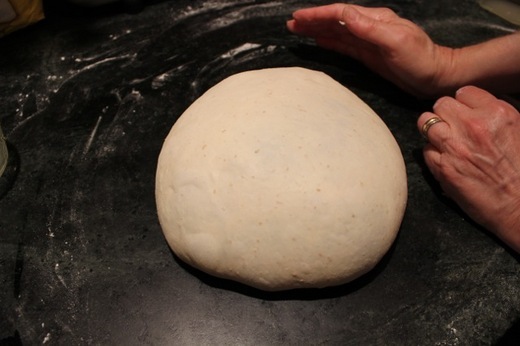 After 10 minute rest, flattening and dimpling the dough. 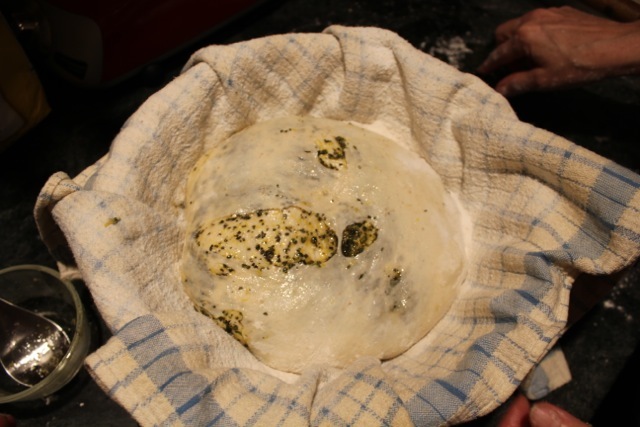 Adding the slurry to the dough crater. 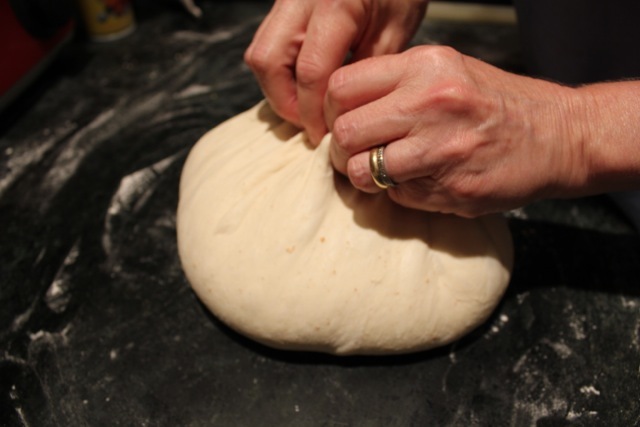 Encasing the slurry in the dough. Slurry having broken through due to over tightening. 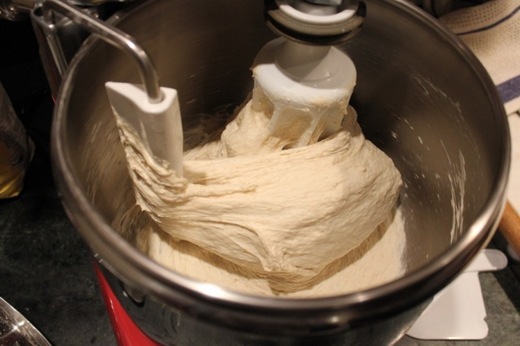 Fully proofed dough in basket. 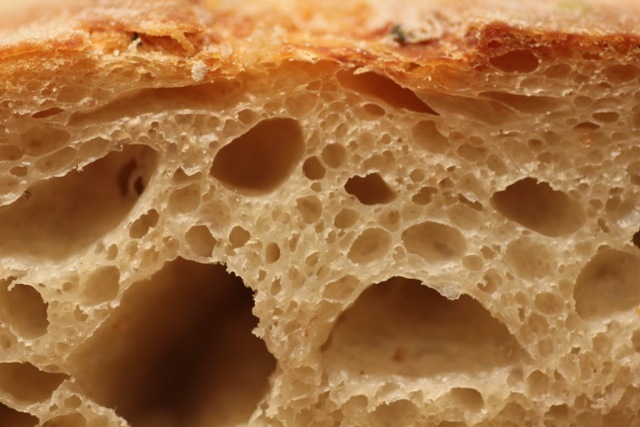 Slashing the dough in an asterisk pattern. Bread cooling on wire rack. 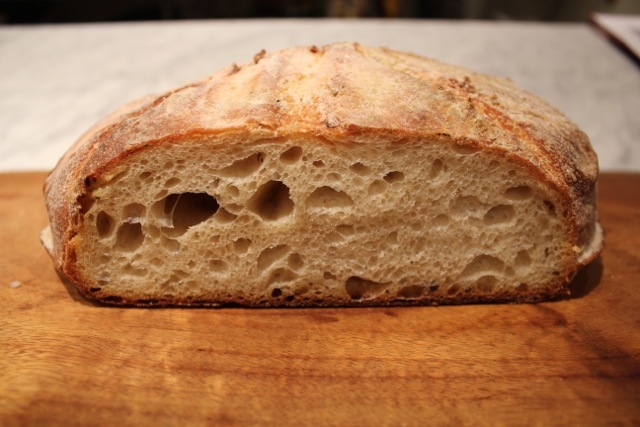 Cut loaf to show beautiful sourdough crumb. 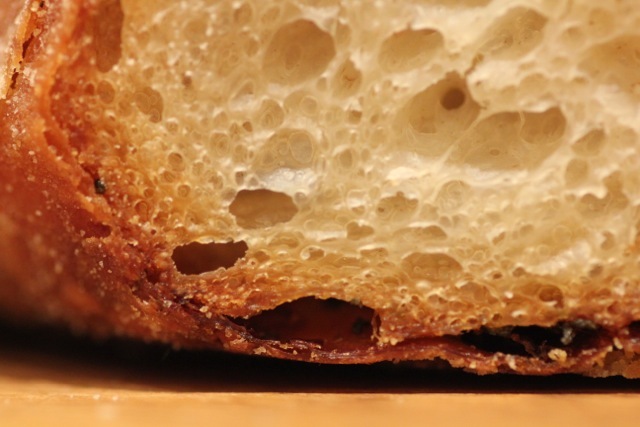 Close up of the crumb. The lemon-rosemary slurry just under the crust.